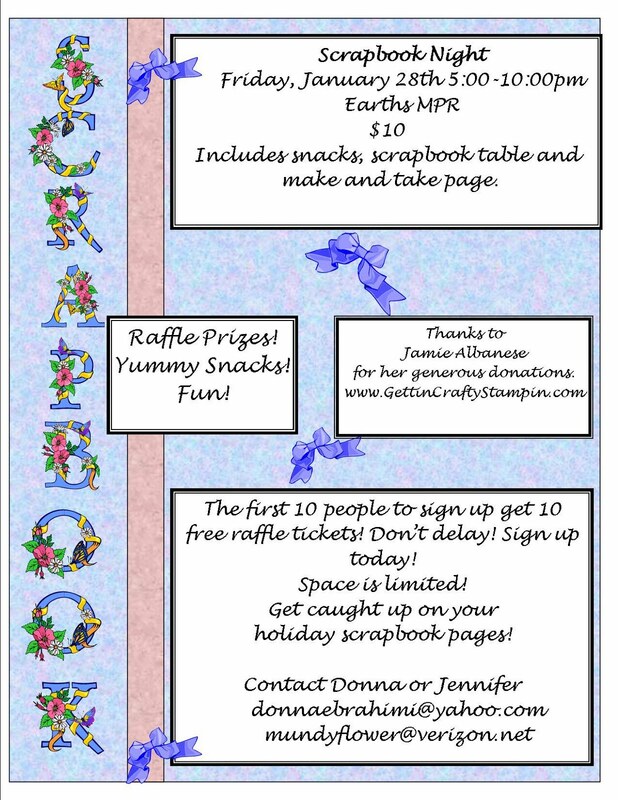 I'm so excited to be doing my son's school, EARTHS's, Scrapbook Night... This is bound to be a blast of a night... and just in time to wrap up the holiday scrapin'! 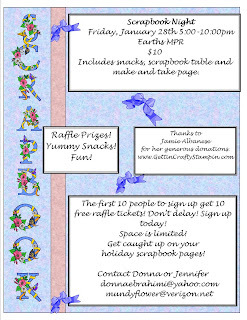 Contact Donna at donnaebrahimi@yahoo.com or Jennifer at numdyfloer@verizon.net to reserve your $10 Scrap Night spot! !